UPDATED: Fri., March 2, 2018, 1:11 p.m.
NEW YORK – Department store chain J.C. Penney says it has cut more than 300 jobs and reported disappointing sales at established stores for the quarter that includes the holiday season. It also delivered a muted outlook, and its shares fell 6 percent. The news Friday overshadowed strong profits as investors worried about Penney’s ability to remake itself in a changing retail market – especially after the good economy contributed to stronger results at chains such as Macy’s and Kohl’s. J.C. Penney eliminated 130 positions across all departments at its Plano, Texas, headquarters, and said restructuring regional, district and store support teams to eliminate bureaucracy led to 230 job cuts. It estimated the cuts will save it $20 million to $25 million a year. It also made changes to its executive team. CEO Marvin Ellison told analysts Friday that the company has earmarked 300 mall locations where it will aggressively beef up appliances, mattresses, furniture, and workwear like overalls. That should help increase market share gains as struggling mall competitors like Sears close. Revenue at J.C. Penney stores open at least a year rose 2.6 percent, a tad below expectations for a 2.7 percent increase, according to FactSet. In contrast, Kohl’s enjoyed a 6 percent increase in sales at established stores, its largest such gain since 2001. Nordstrom saw a 2.6 percent increase in those sales, and Macy’s broke out of an almost three-year sales slump to post a sales gain of 1.4 percent at existing stores for the holiday period. J.C. Penney is trying to operate as a more “modern company” – and, in many cases, it’s playing catch-up. The company has had extra challenges in restoring sales after a disastrous attempt to reinvent the company. It has since brought back major appliances like dishwashers and has expanded its in-store Sephora beauty shops. It’s acknowledged that it was behind in chasing the active and casual clothing trend. So it’s expanding its selections of brands like Nike and Adidas. That should help perk up its clothing sales, which have been weak. It’s also continuing to rebrand its salon shops. 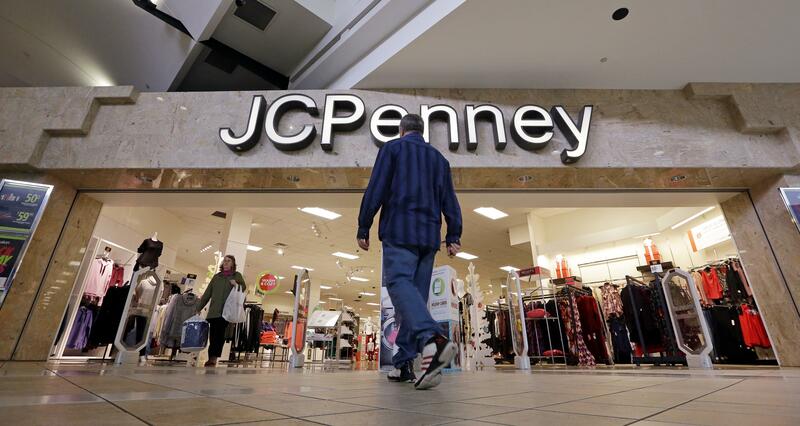 J.C. Penney is making some inroads in its e-commerce business. It increased its online product assortment by 50 percent last year and plans to add an additional 600,000 items online this year. Last year, the company’s e-commerce business accounted for 18 percent of total sales and it grew 20 percent from the prior year. The company “is taking necessary steps to effectuate its turnaround and is seeing some traction with its various initiatives, but we remain cautious given a challenged department store environment and risks involved in a retail turnaround,” wrote Randal Konik, an analyst at Jefferies, in a note Friday. J.C. Penney said fourth-quarter earnings rose to $254 million, or 81 cents per share, from $192 million, or 61 cents per share, a year earlier. Per-share earnings adjusted for one-time gains and costs were 57 cents, which is 12 cents better than Wall Street had expected, according to Zacks Investment Research. Revenue of $4.03 billion was in line with expectations. The company now expects full-year earnings of 5 cents to 25 cents per share, with same-store sales flat to up 2 percent. Analysts had expected earnings per share of 20 cents and comparable sales growth of 0.7 percent, according to FactSet. Its shares fell 25 cents to $3.67 in Friday trading. Published: March 2, 2018, 9:18 a.m. Updated: March 2, 2018, 1:11 p.m.